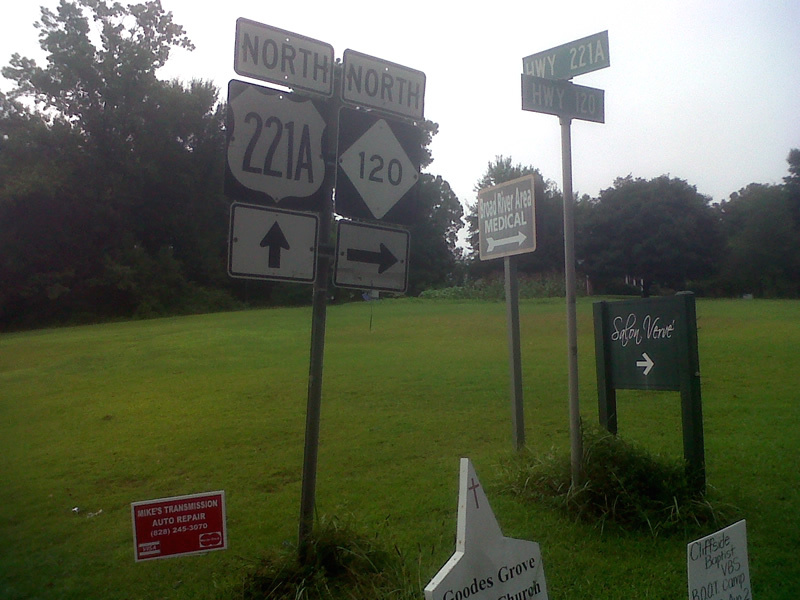 Split with U.S. 221A north and NC 120 north in Cliffside. Photo by Carter Buchanan, 7/20/2013. 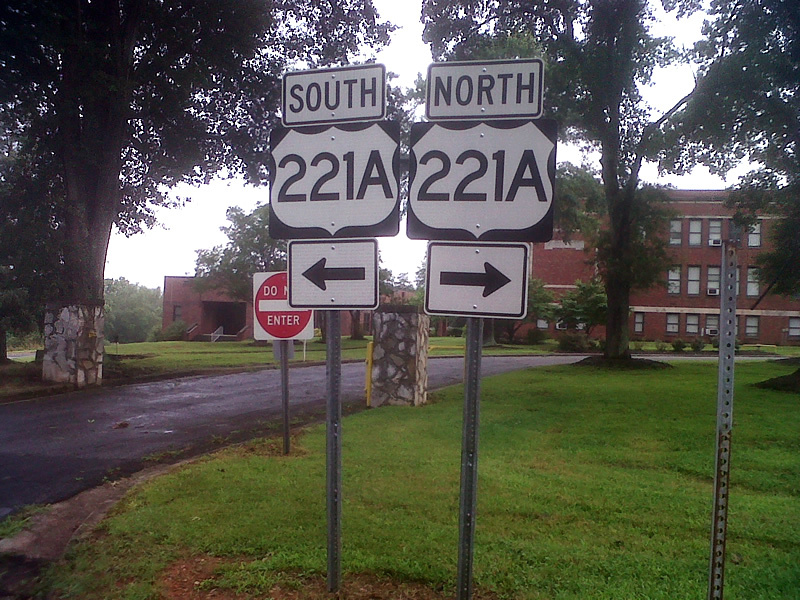 Directional shield assembly for U.S. 221A at the southern terminus of NC 120 in Cliffside.